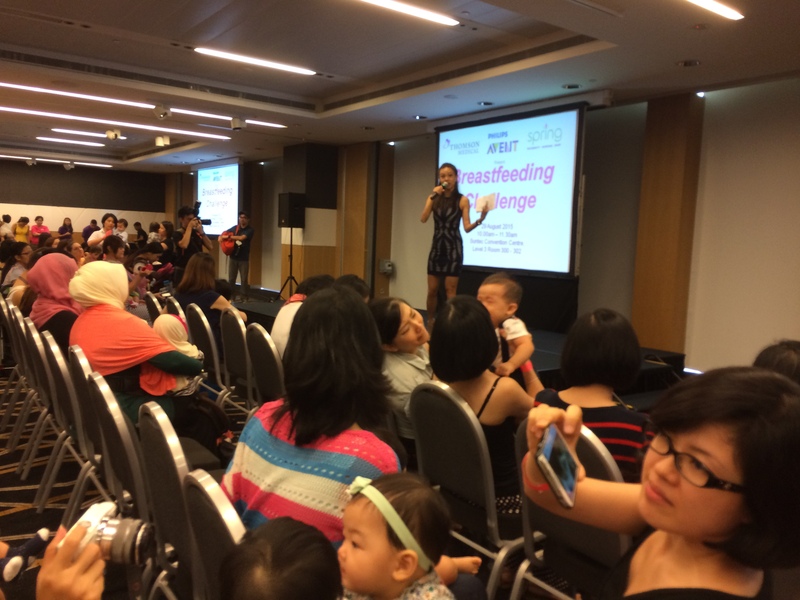 On 29st August 2015, in celebration of World Breastfeeding Month, Thomson Medical partnered Phillips Avent, Spring Maternity, Passion Card, NTUC Ufamily and HeyBaby SG in an attempt to break the Singapore Book of Records for the largest ever breastfeeding event in Singapore. 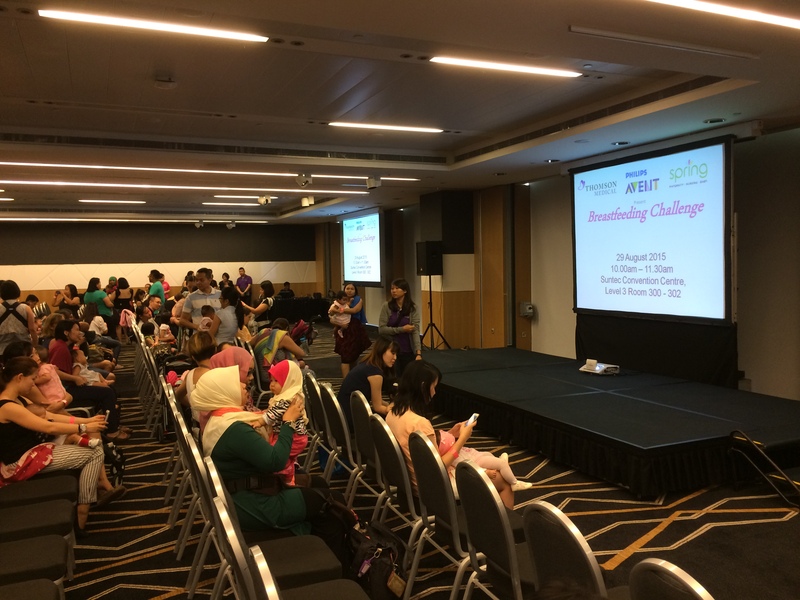 At 9am, mothers started to stream into the Suntec Convention Centre, Rooms 300-302 to take up the Breastfeeding Challenge. At 10am, mummies have gathered to breastfeed together in the same hour. Daddies have been told to move aside as some mummies might not be comfortable. Jaime Teo, a fellow mummy, was the emcee of the day, and renowned lactation expert Mrs Wong Boh Boi, Senior ParentCraft Educator of Thomson Medical Centre, was also present to share insights on breastfeeding to encourage mothers to breastfeed. Here is the entire group of my friends who went for this event together! After about an hour or so, the results were out! We had been part of a record breaking event! 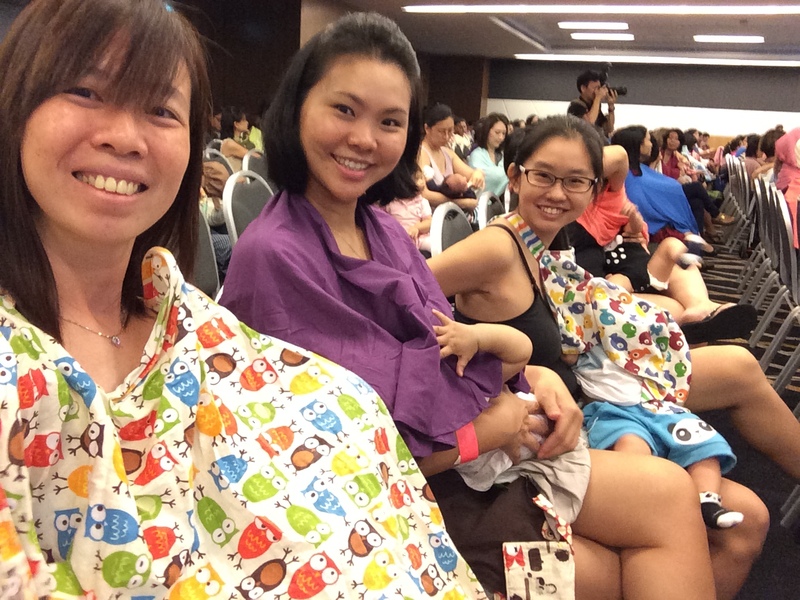 We had been part of a record-breaking 154 mothers breastfeeding at the same time with the Singapore Book of Records, 3 babies more than the previous record! Our nation’s golden jubilee celebrations were made more meaningful as the event involved our Jubilee babies coming together to break a national record. Just some fun facts, according to Health Promotion Board’s National Breastfeeding Survey 2011, most mothers in Singapore would initiate breastfeeding after birth. However, only 30 per cent would continue to do so exclusively for at least two months. We have breastfed for more than 6 months. That is an achievement. Some mummies and babies who were present have breastfed for even longer, some coming to 2 years! It helps to have a group of mummy friends supporting each other through this parenting and breastfeeding journey. To end off, here are our breastfed babies!